Engines: 4 Pametrada steam turbines, double reduction gearing, driving two, screw shafts. 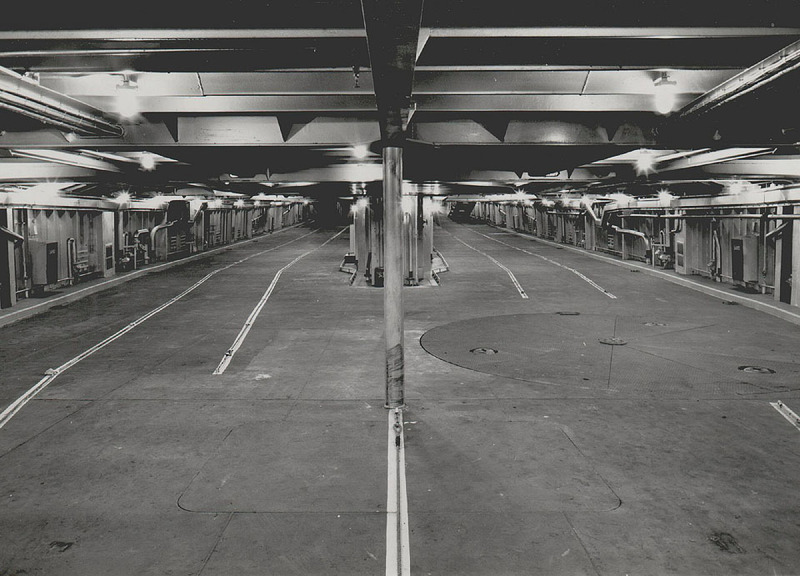 Capacity: 1,000 passengers, 200 cars. 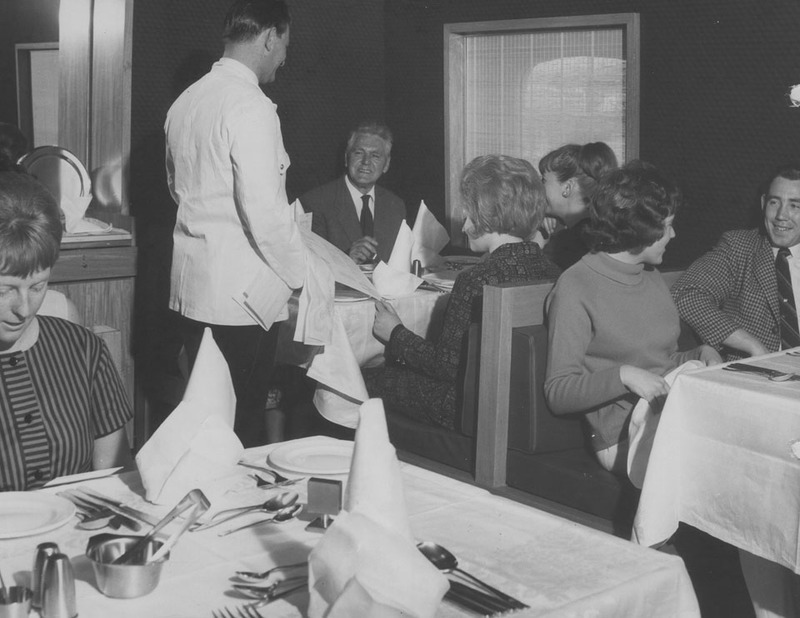 June 1965: Delivered to British Railways Board. 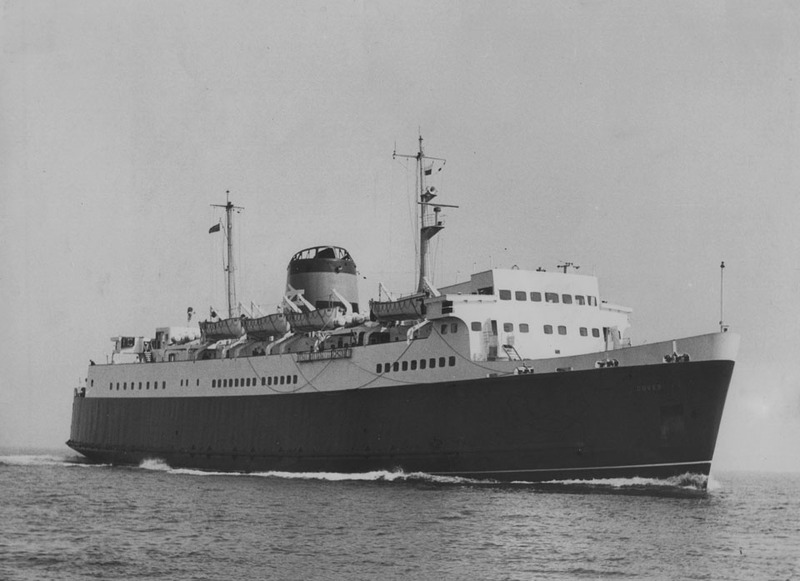 This was the first ship to appear in the B.R. 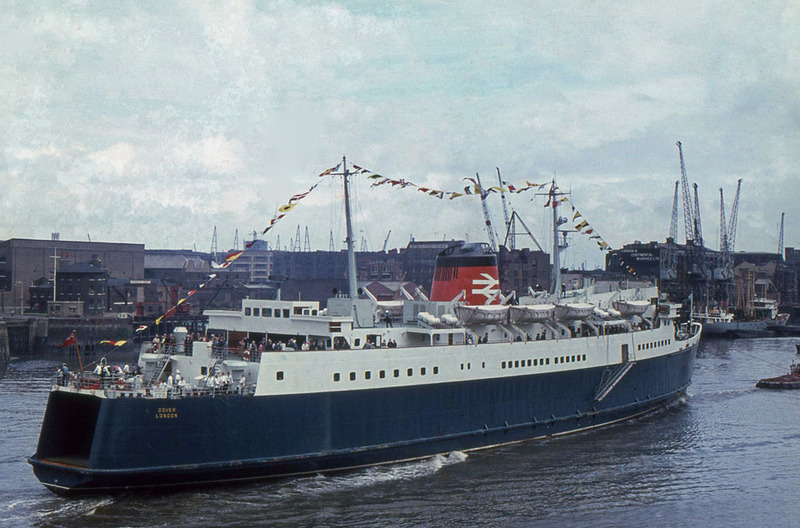 livery of “monastral” blue hull, with white waterline/ chocolate brown boot-topping; white superstructure, pearl grey masts, ventilators and davits, and red funnel with the white device of two railway lines with crossings between them. At the same time a pale blue house flag was adopted, having the same emblem. 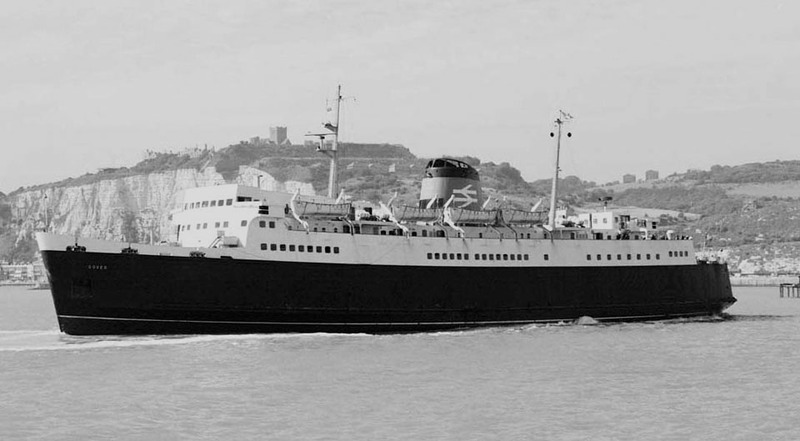 June 6th 1965: Arrived in Dover. 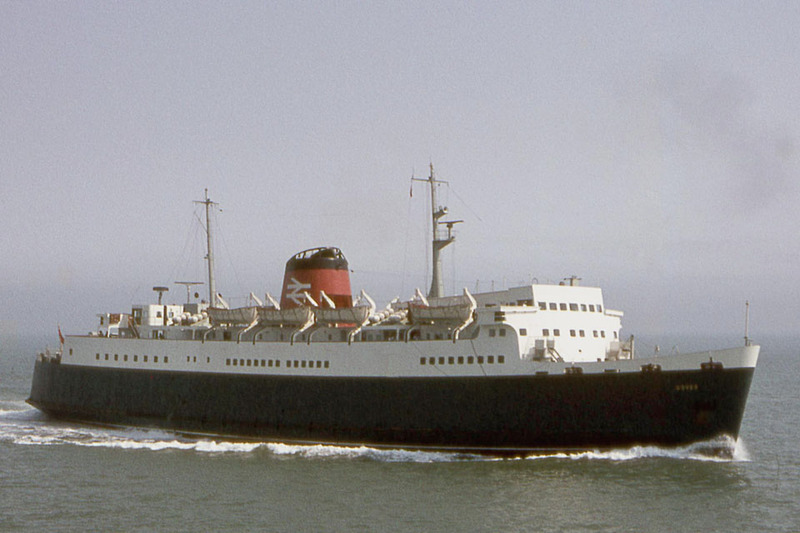 September 1965: Operated between Dover – Calais. 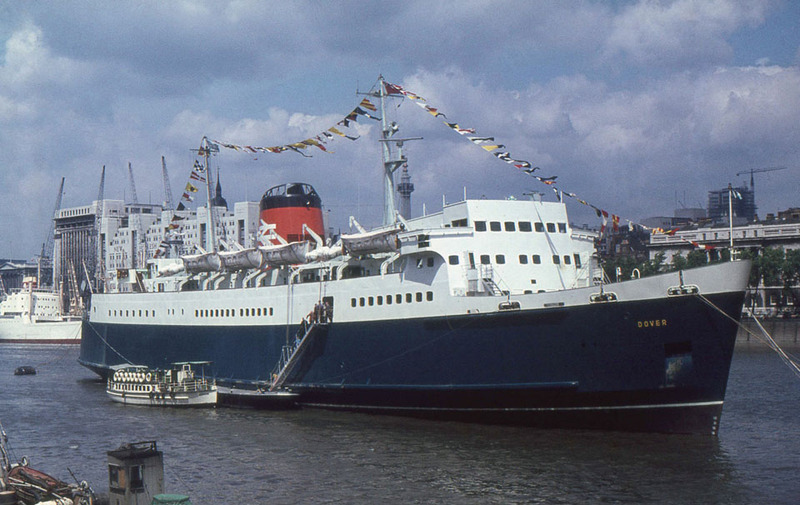 June 13th 1965: A press trip to Boulogne, the vessel on her arrival opening the newly- built car ferry terminal there. 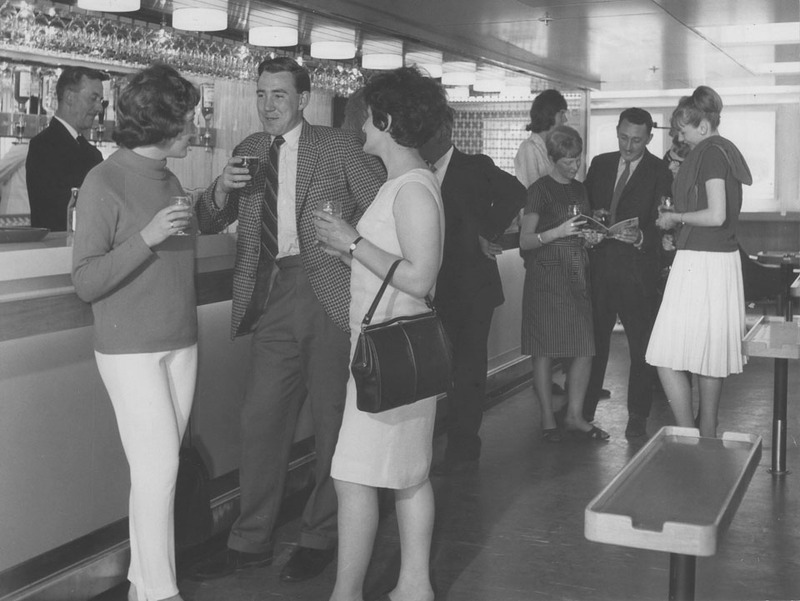 June 14th 1965: Press visit to the Pool of London. June 24th 1965: Entered proper service. 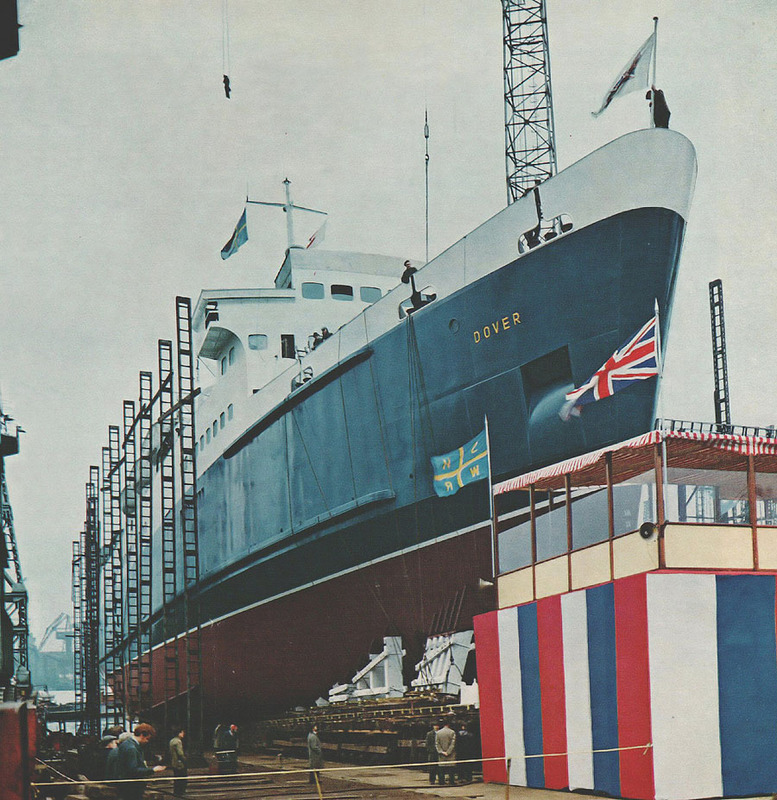 June 28th 1965: Suffered shortage of power, decreasing speed and intense vibration. Withdrawn. 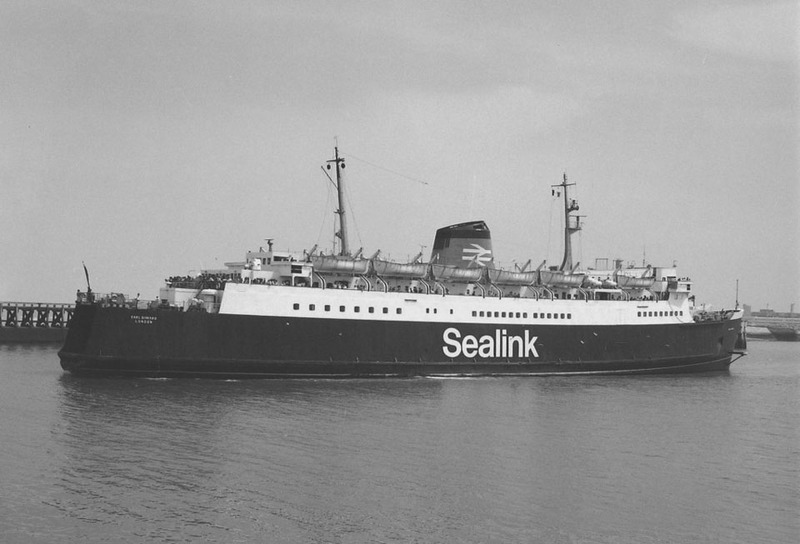 July 5th 1965: Faults rectified and resumed service. February 9th 1967: Carried out ramp tests at the Central Electricity Generating Board ramp at Folkestone. Results were inconclusive because the state of tides caused her car deck to be some 4 ft below the top of the quay. 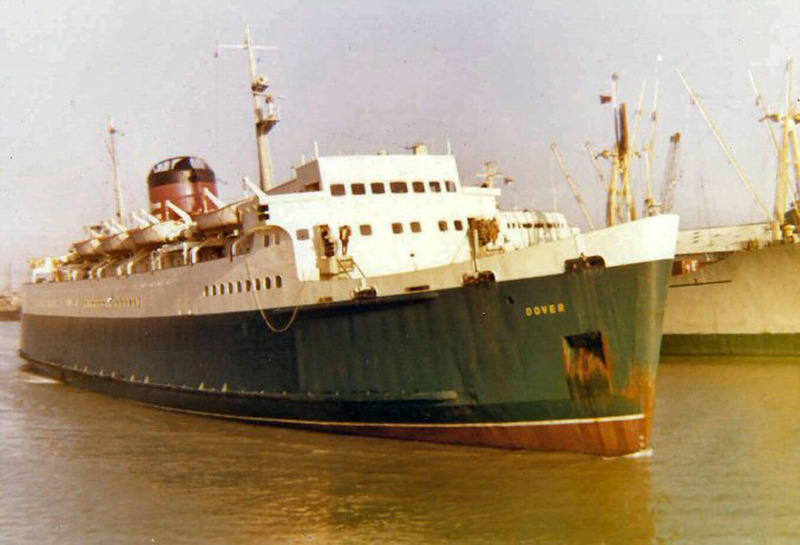 1967 (Early): Sailed a short time between Newhaven – Dieppe. 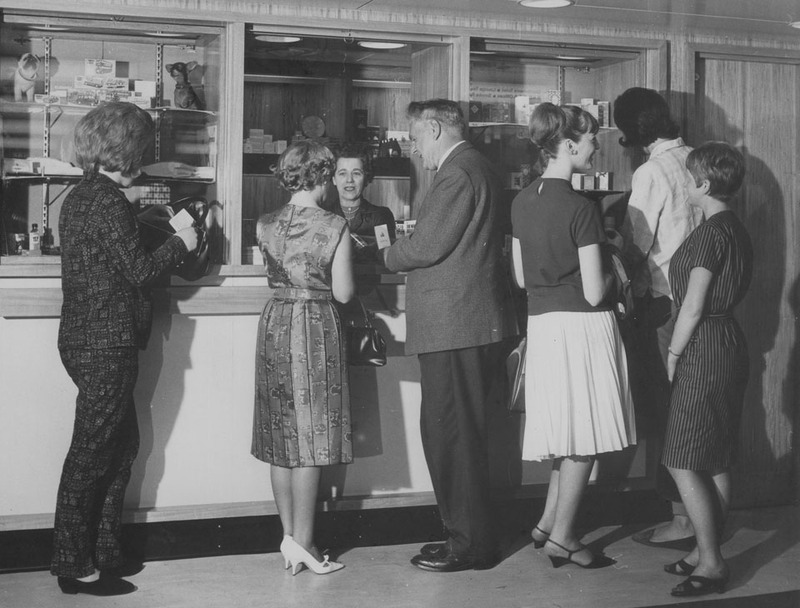 1967 (Spring): Her restaurant was made self-service. 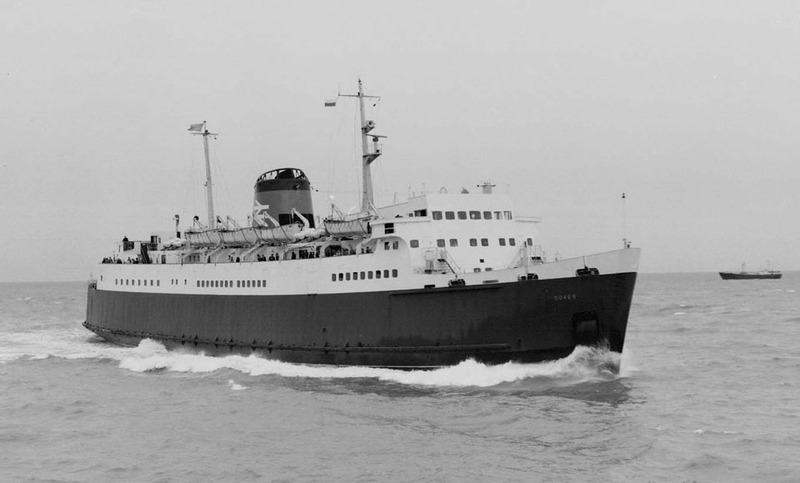 October 6th 1967 – January 9th 1968: Operated between Newhaven – Dieppe. 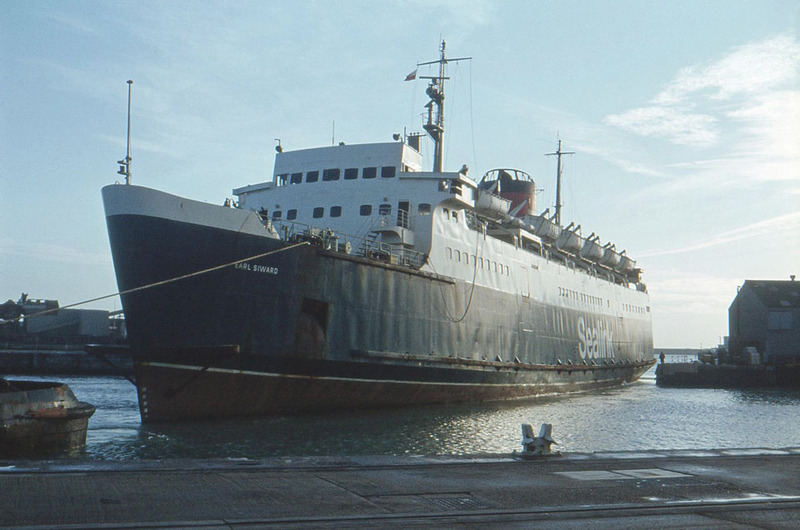 October 1968: Operated again between Newhaven – Dieppe. 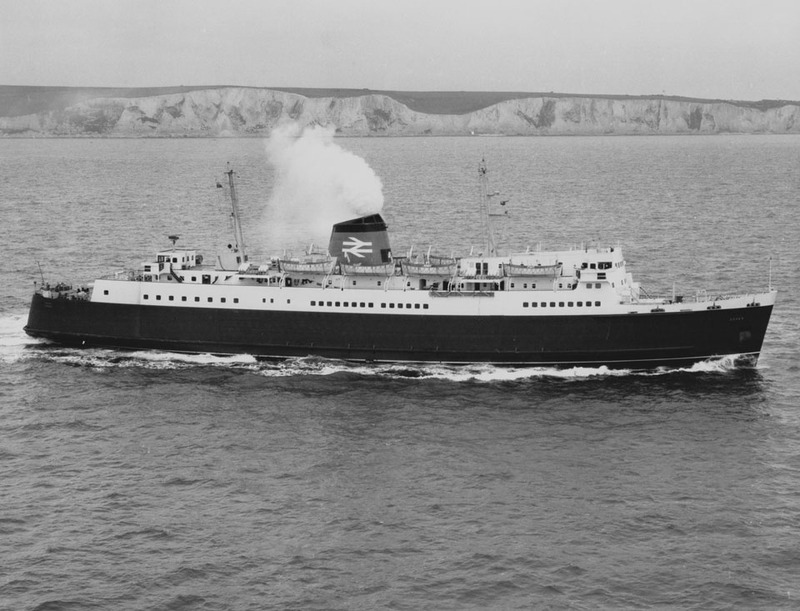 December 1968 (late):Left Newhaven for Dover, then operated Dover – Boulogne (off turn) service. 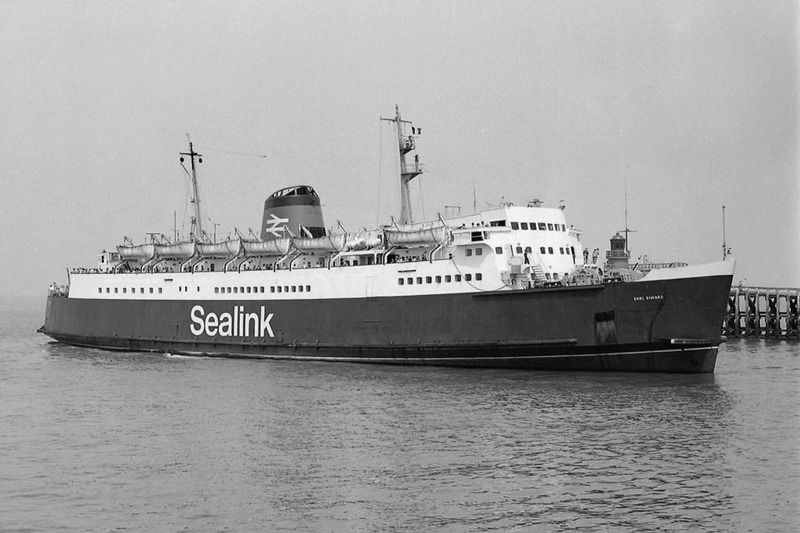 1969 (summer): Operated between Holyhead – Dun Laoghaire when the VORTIGERN joined the Sealink service at Dover in July. 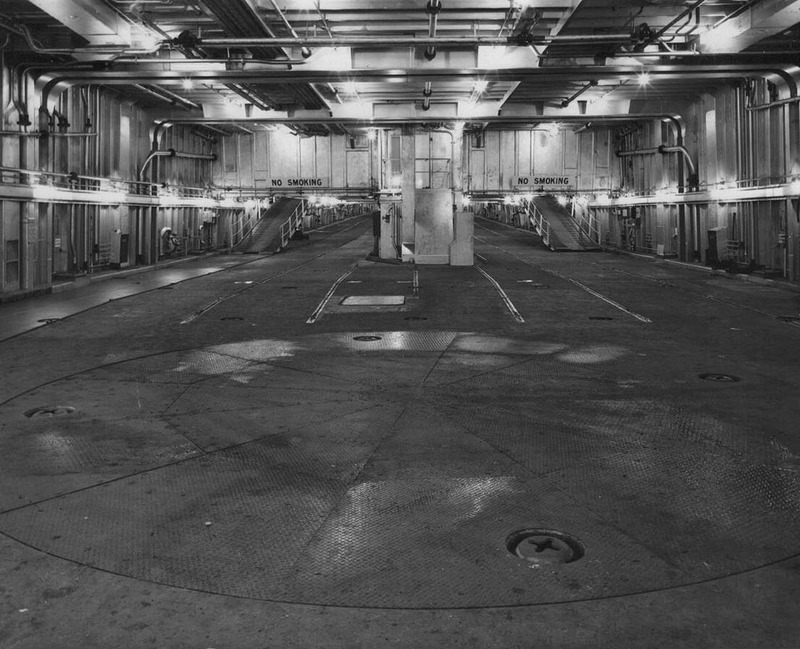 May 1969 (last two weeks):Dry-dock at Holyhead. 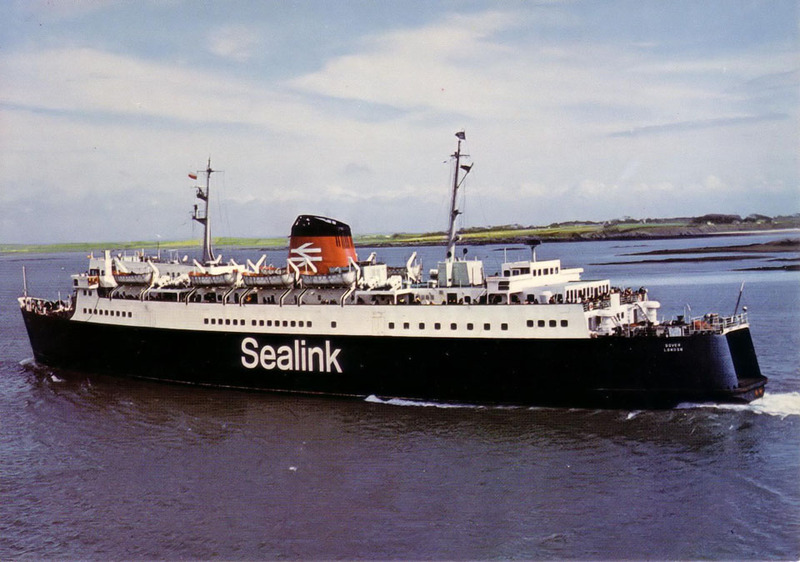 November 1969: It was announced that British Rail’s Shipping and International Services Division (SISD) had adopted the new brand name Sealink and as a consequence all vessels would, in the future, be painted in the new house colours. 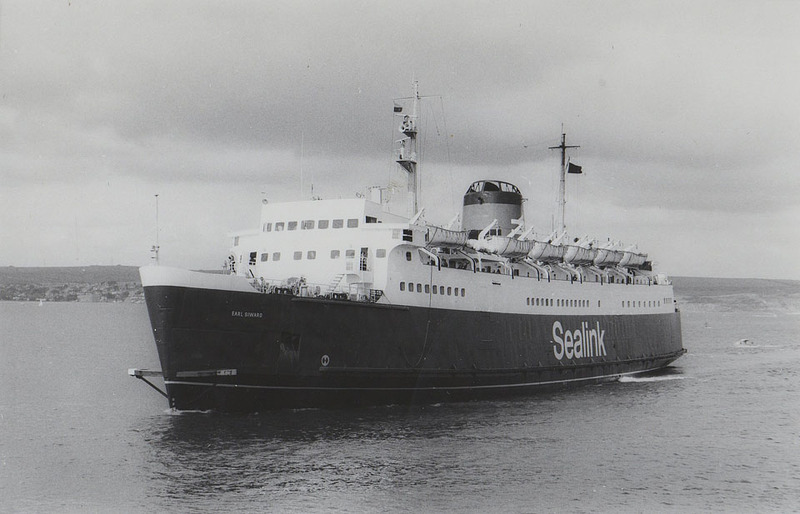 May 22nd 1970 – September 19th 1970: Operated between Holyhead – Dun Laoghaire with experimental sailings from Dun Laoghaire (non profit making and ceased). 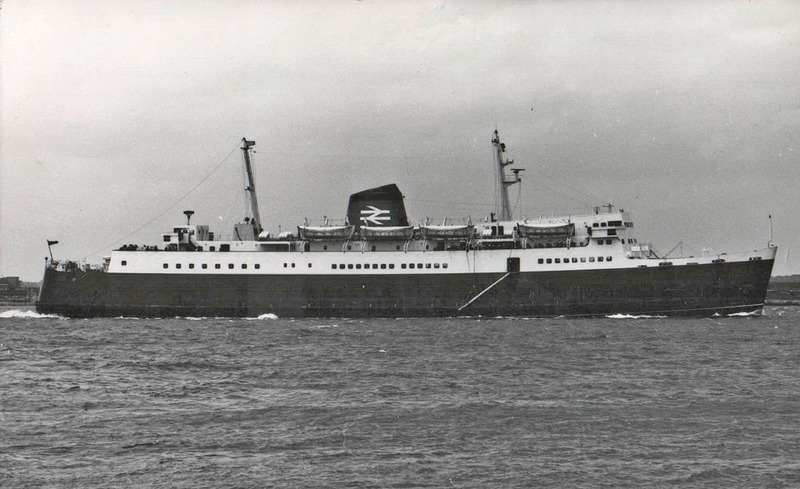 September 28th 1971 – December 12th 1971: Operated between Newhaven – Dieppe. 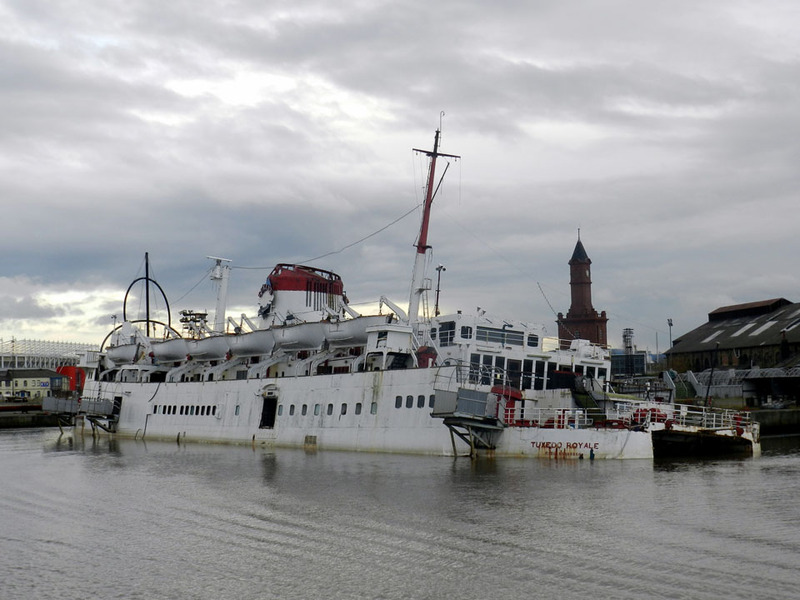 October 23rd 1971: Collided with the West Pier and suffered propeller damage. 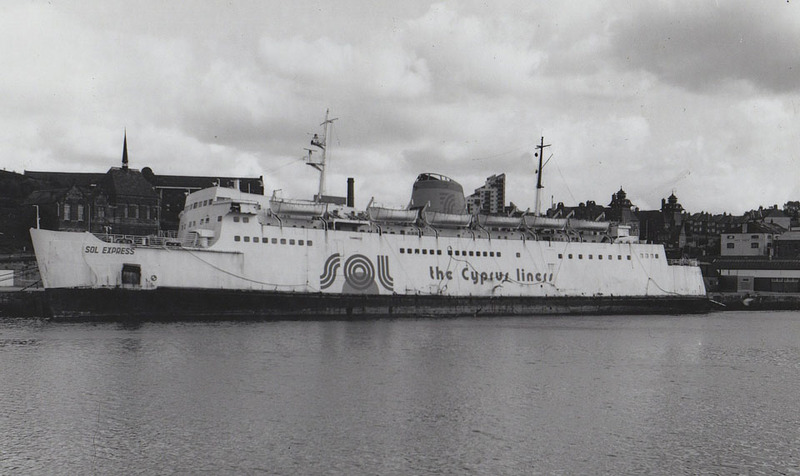 Repaired in Southampton. 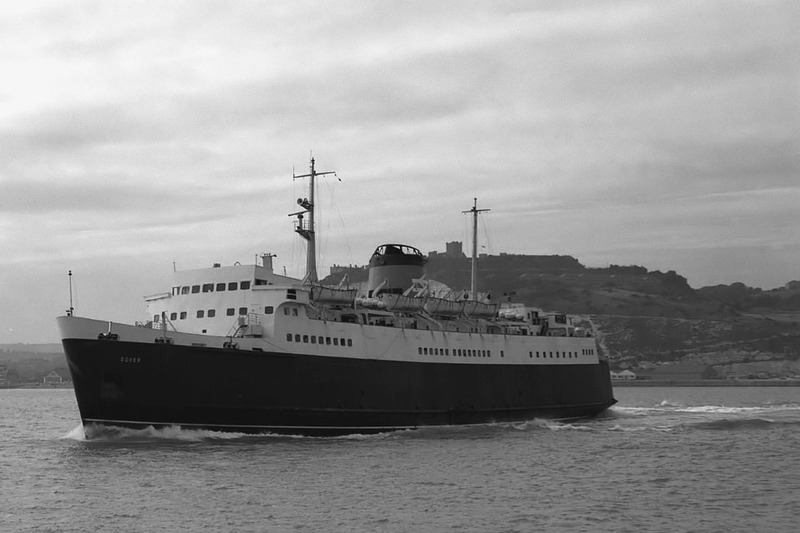 November 8th 1971: Reinstated and returned to Dover. 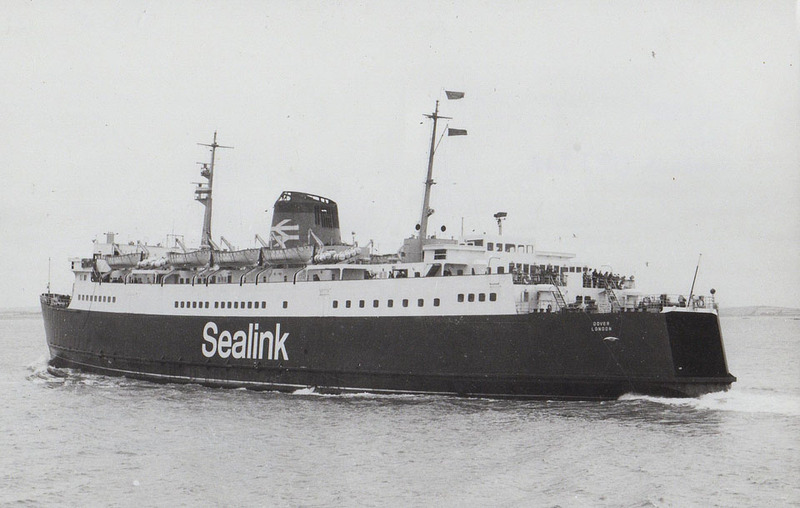 June 1972: Passenger only sailings Folkestone – Boulogne. 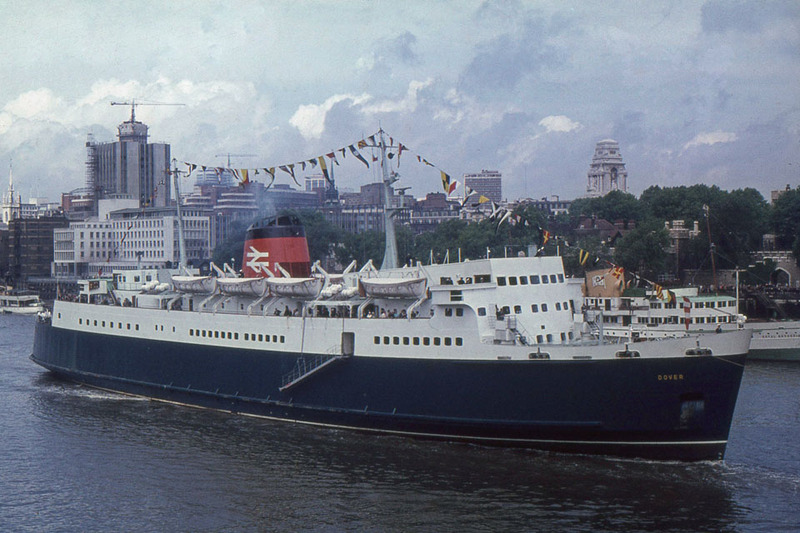 September 25th 1972: Operated between Newhaven – Dieppe to relieve VILLANDRY and VALENCAY away on refit. 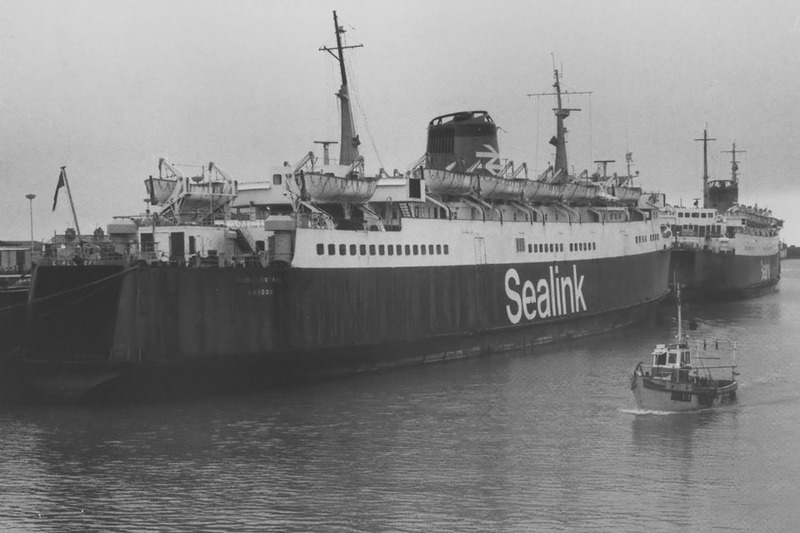 December 4th 1972: Arrived back off Dover then spent 3 days riding out heavy storms before entering the harbour. 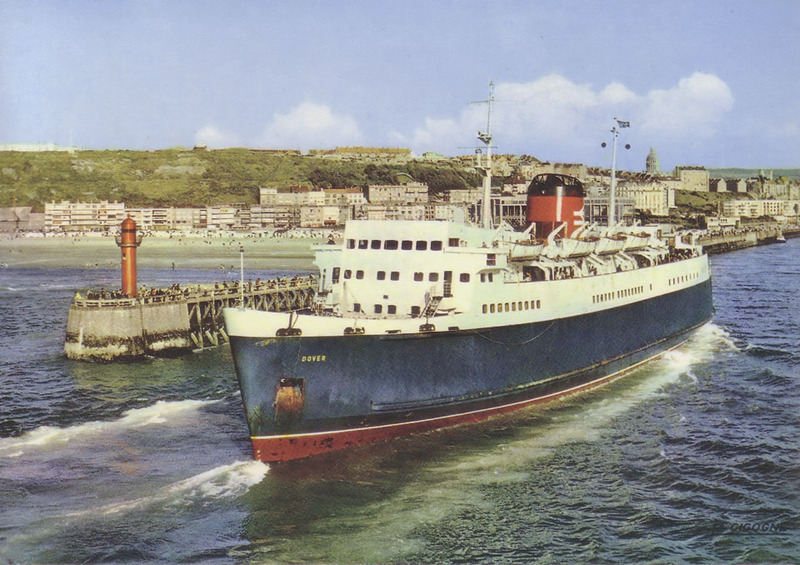 Resumed Dover – Calais. 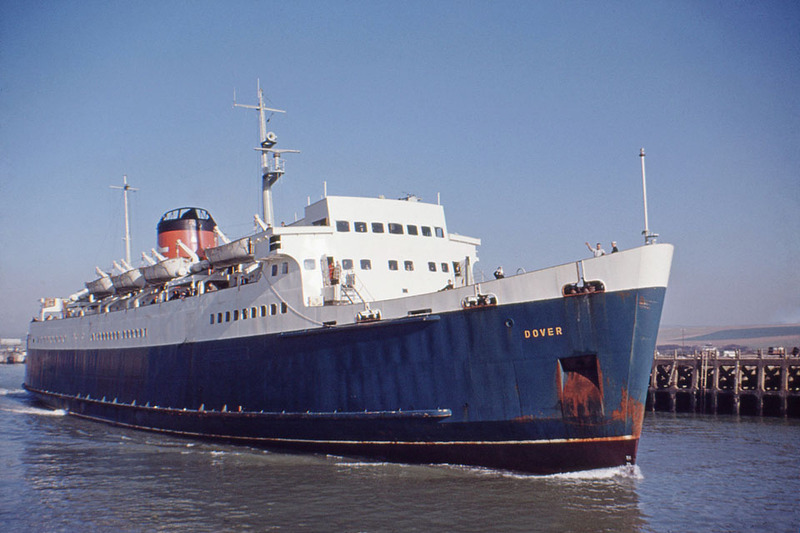 October 17th 1976: Returned to Holyhead to cover for damaged AVALON. 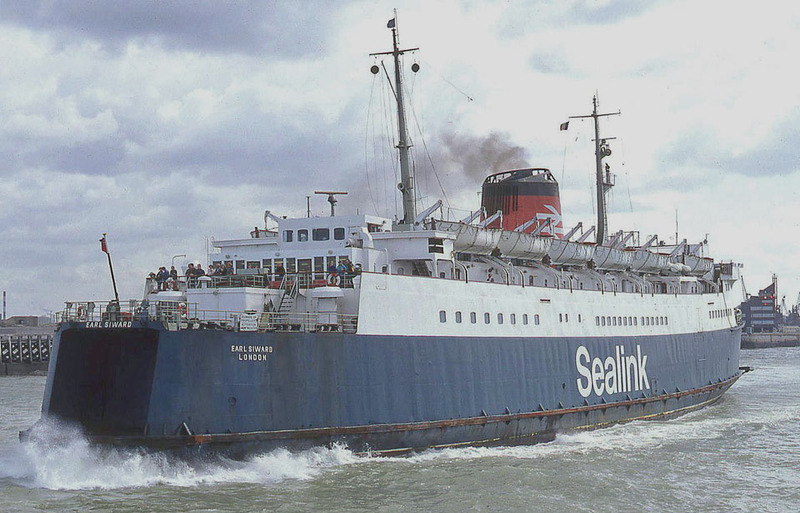 July 1st 1977: Due back in Dover after conversion. 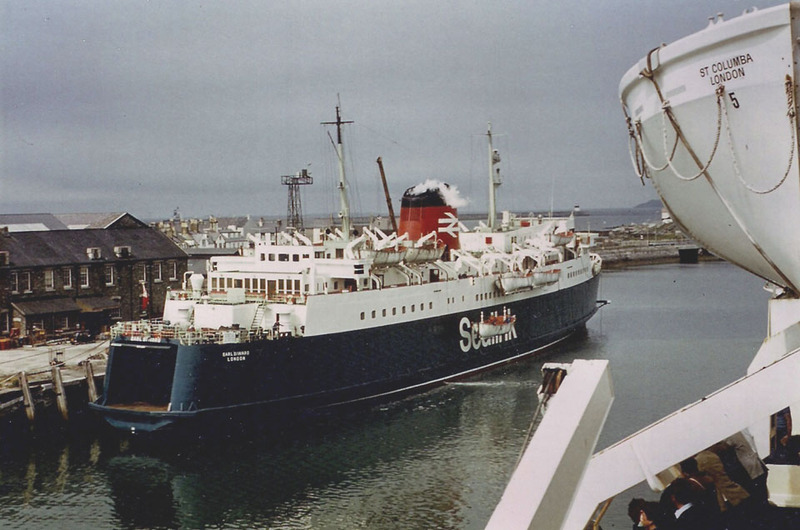 October 19th 1977: Operated between Holyhead – Dun Laoghaire. 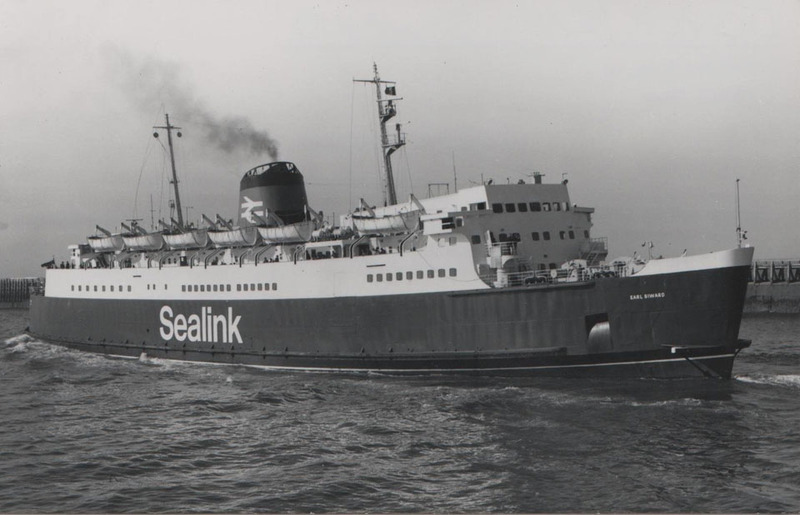 January 1st 1979: Registered to Sealink U.K. Ltd. Operated on the Irish sea for a short while. 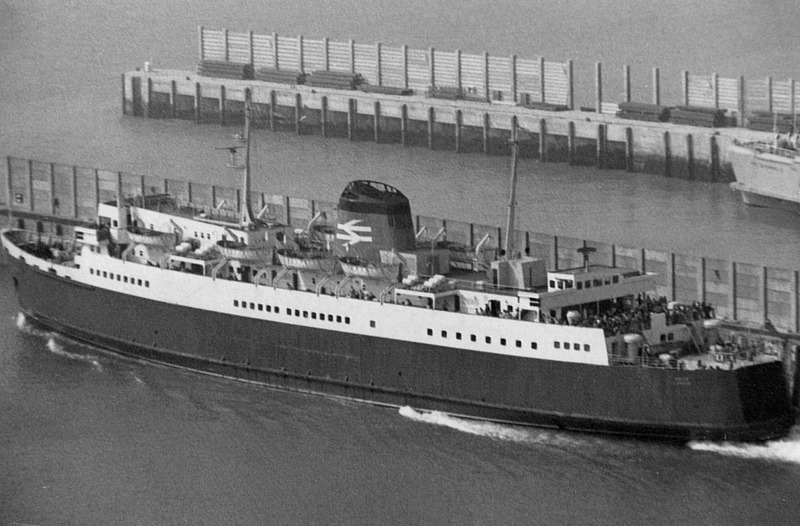 May 1979 (summer): Covered VORTIGERN (train ferry duties at Dover) at Folkestone and during a French fishermen’s blockade of Channel ports, sailed to Ostend. November 2nd 1980: Stripped a turbine blade. 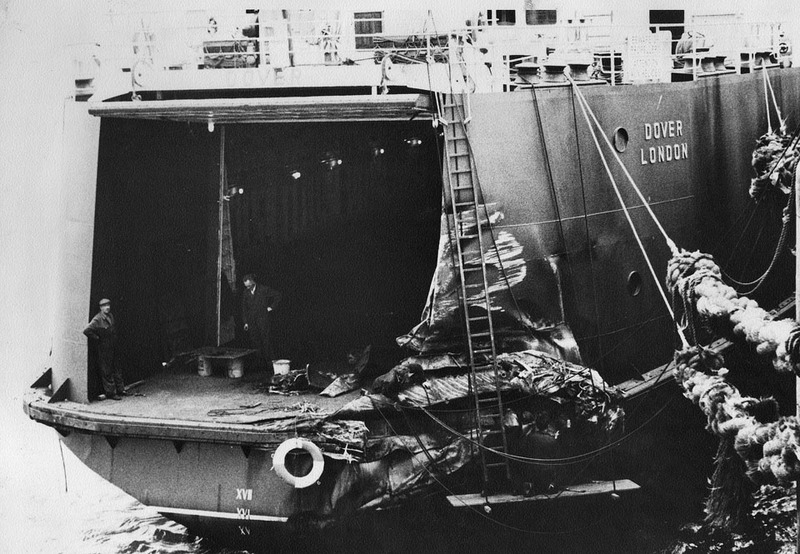 November 2nd 1980 – December 17th 1980: Repairs in Wellington Dock, Dover. 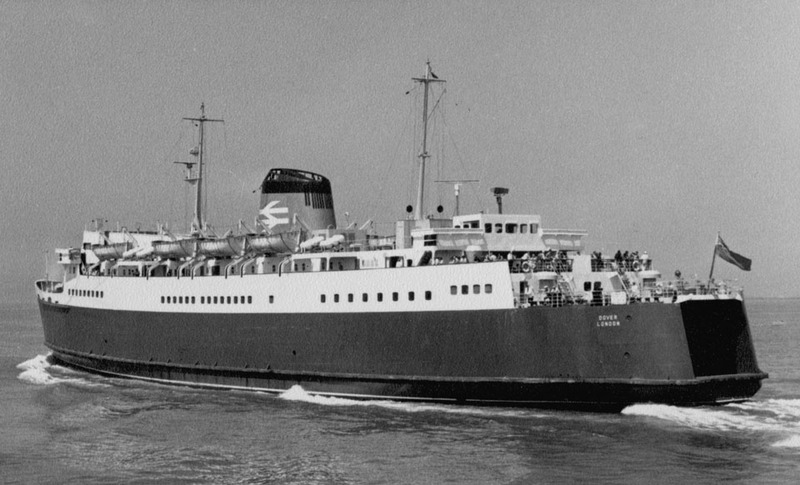 January 16th 1981: Commenced service between Folkestone – Ostend (cover for VORTIGERN, off service after electrical fire). January 18th 1981: Off service with boiler problems. February 28th 1981 – March 1st 1981: Suffered engine failure and off service for repairs. 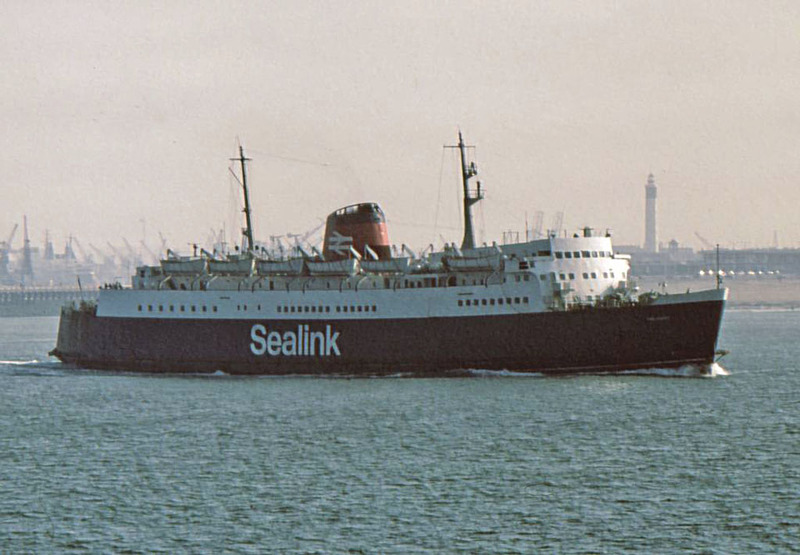 March 6th/7th 1981: At Folkestone, whilst employed Dover – Boulogne/Calais/Ostend services, caught offshore wires around one of her screws taking 36 hours to free. 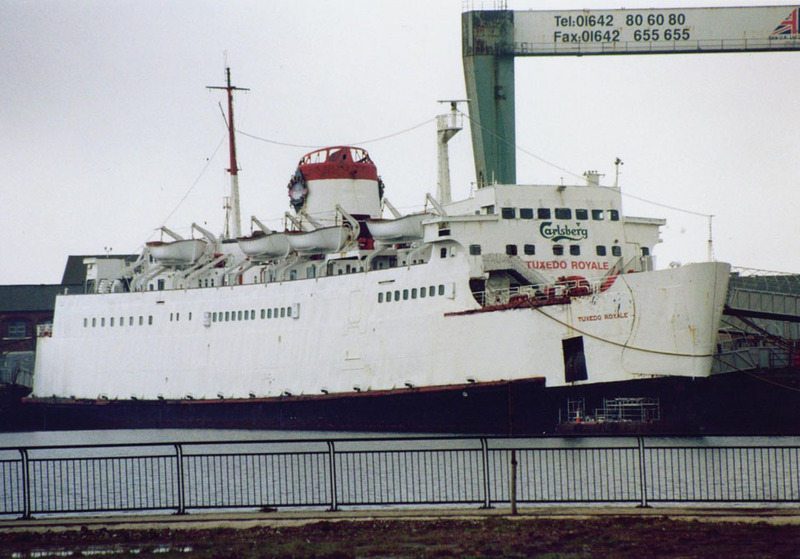 April 14th 1981: Final crossing between Folkestone – Calais. Thereafter sailed to Newhaven and laid up. 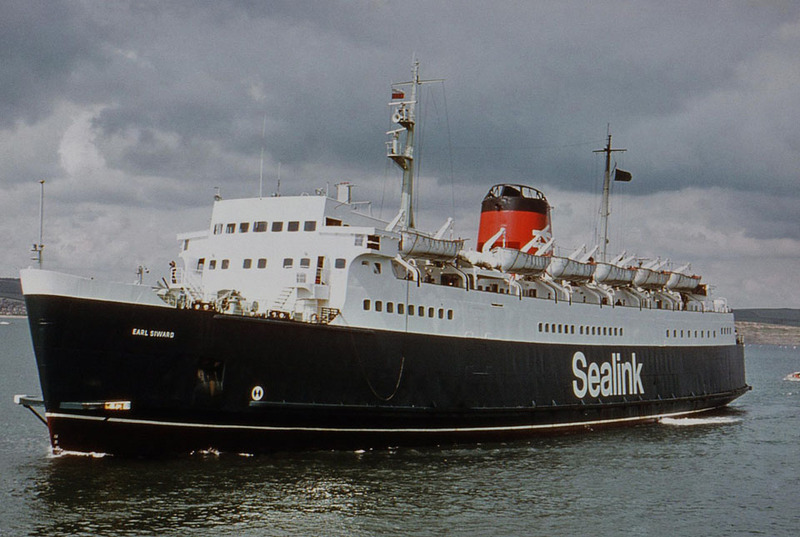 May 15th 1981: Sent to Holyhead for unexpected refit. 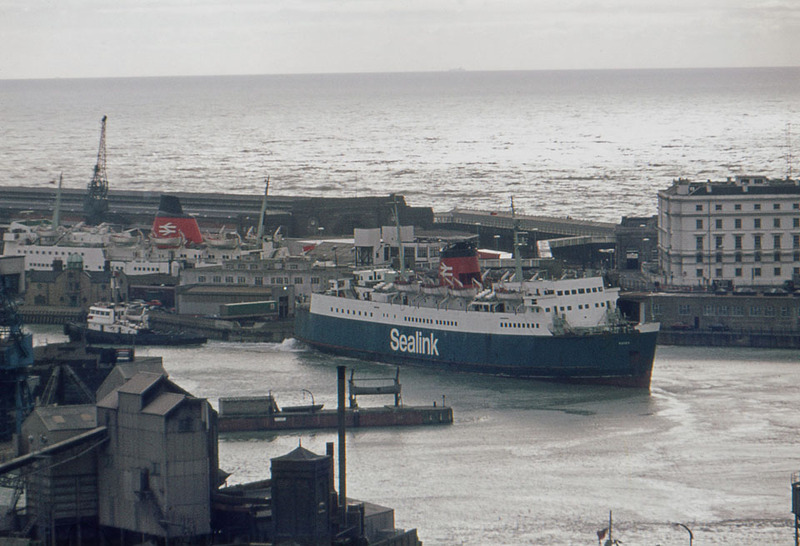 June 6th 1981 – July 9th 1981: Operated between Holyhead – Dun Laoghaire. 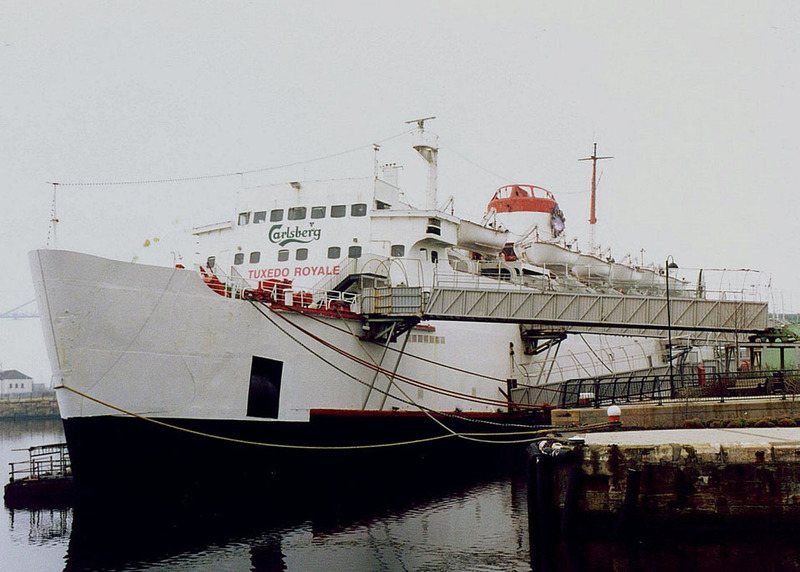 July 10th/11th/12th 1981: Operated three round trips between Weymouth – Jersey – Guernsey. 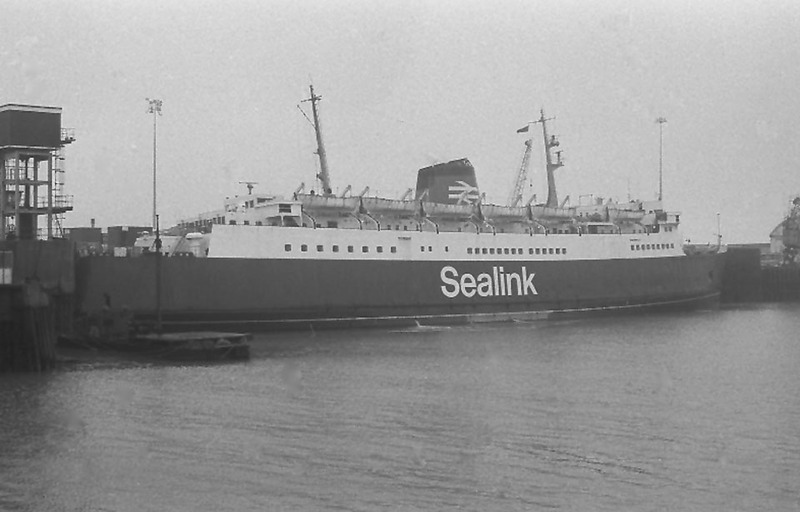 July 1981: Laid up in Newhaven. November 21st 1981: Moved to ramp and loaded second hand commercial vehicles. Expected there for four hours but due to late customs clearance was not able to leave. 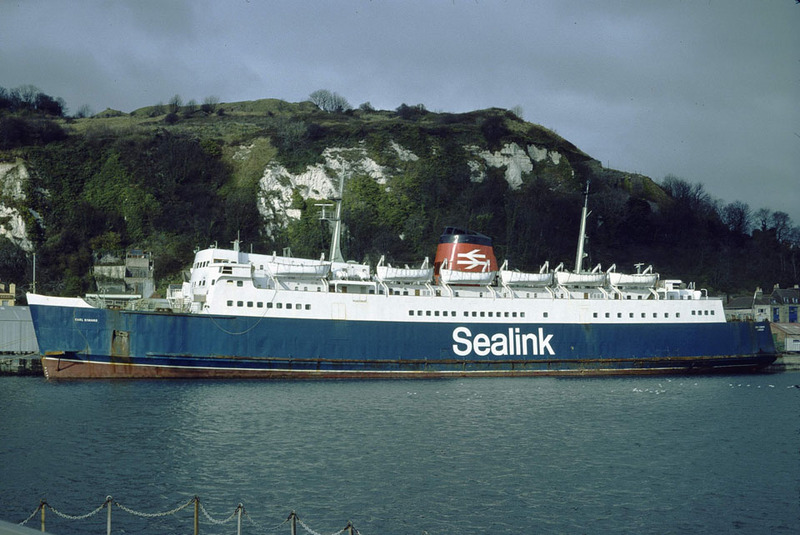 November 25th 1981: Left Newhaven for Greece. 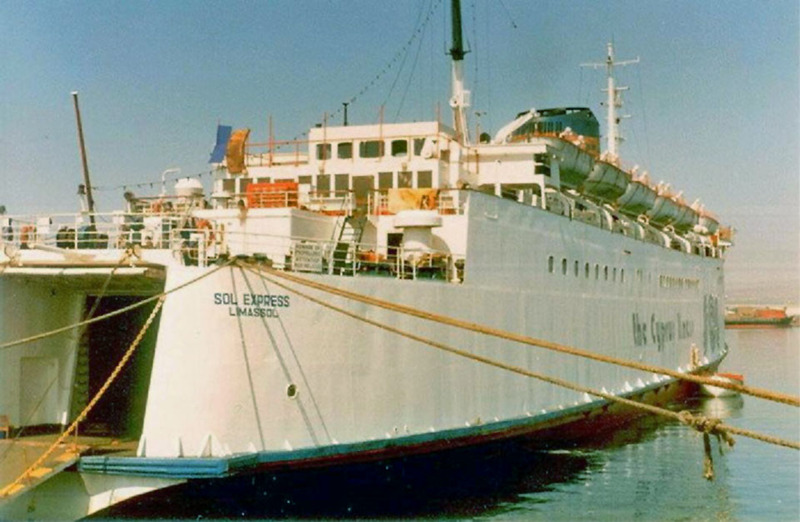 1982: Having been renamed SOL EXPRESS refitted in Perama, Greece. 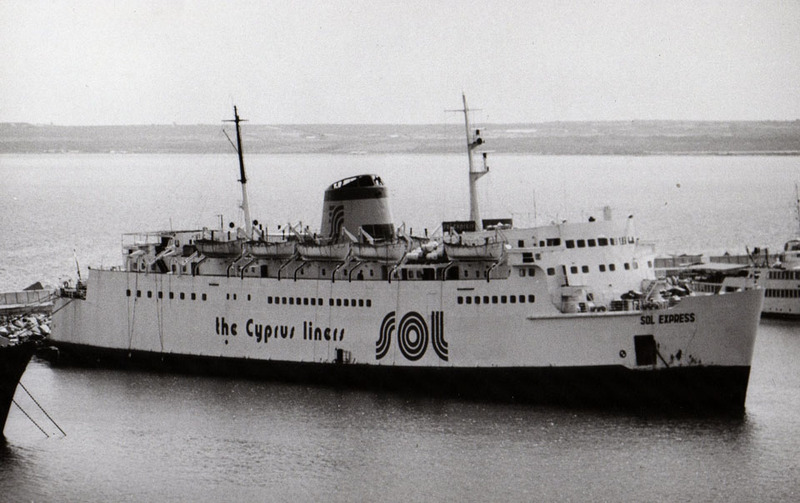 1983: Suffered turbine failure and laid up in Limassol. 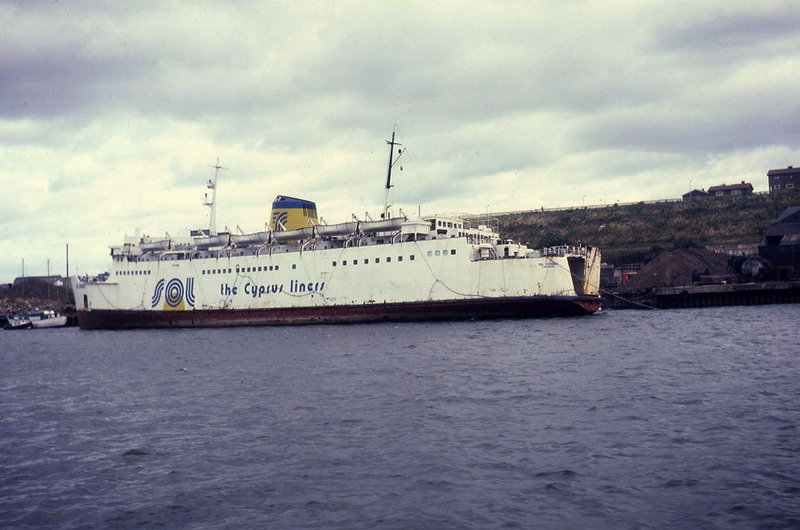 1986: Sold to Quadrini Group, Chanson Lines Ltd.
March 6th 1986: Towed from Limassol to Newcastle. 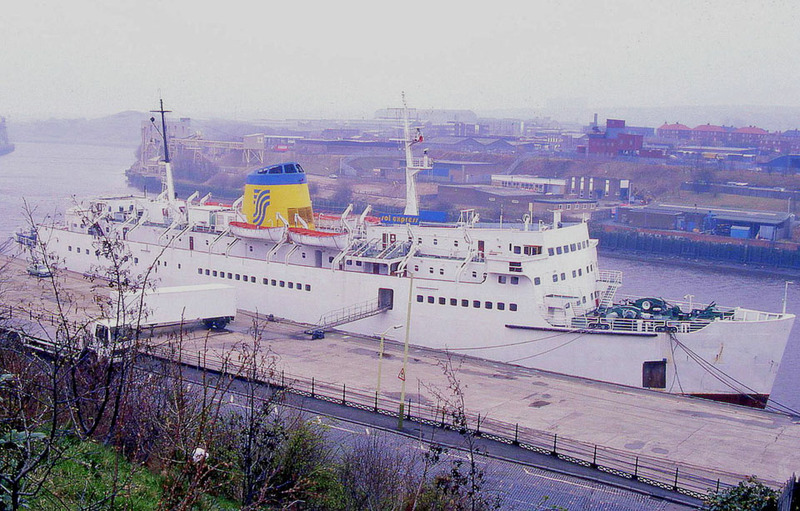 April 18th 1986: Arrived in Newcastle for conversion to a casino/restaurant/night club and renamed TUXEDO ROYALE. 2008: Moored at Able’s yard Hartlepool. 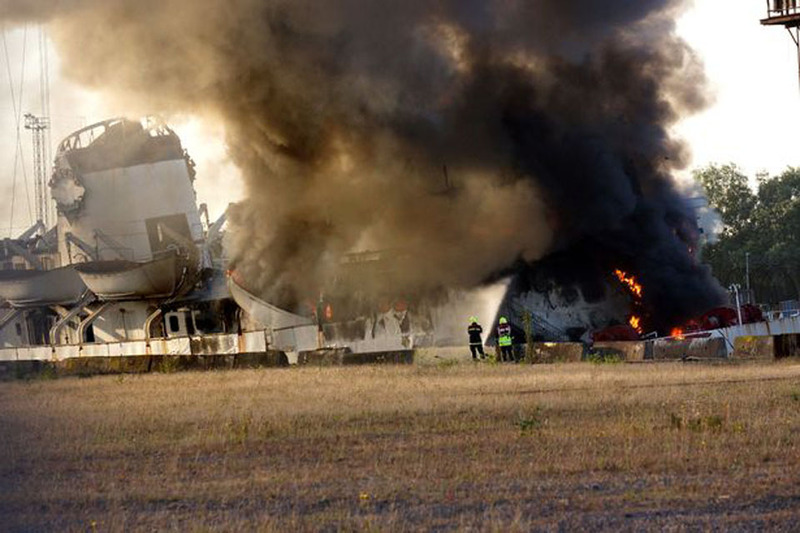 May 5th 2011: Reportedly sinking at her moorings. 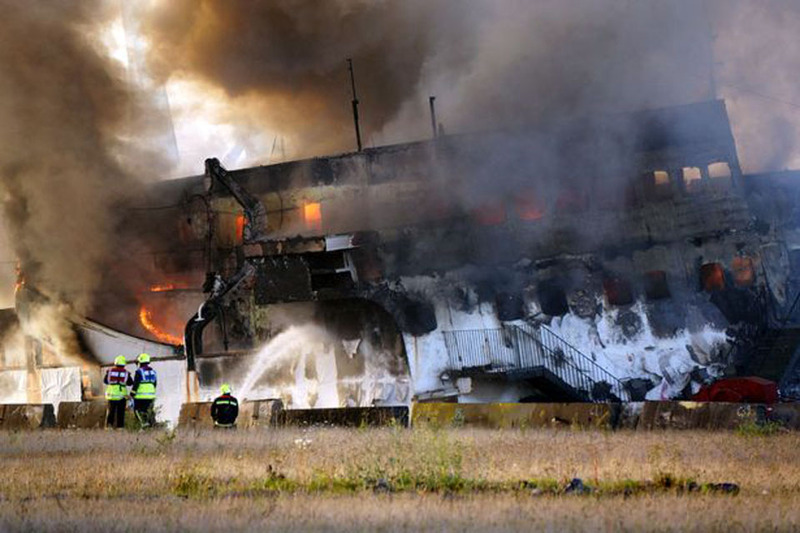 May 31st 2017: Fire breaks out on the bridge of the vessel causing extensive damage to the forward section of the vessels accommodation. All information is believed to be correct and no responsibility is accepted for any errors or omissions. All items included in this article are subject to © copyright. 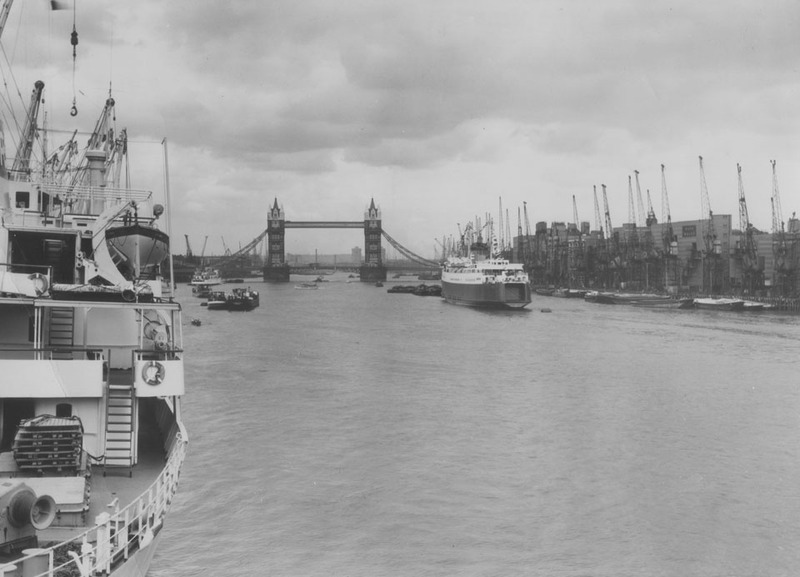 We would like to take this opportunity of thanking: Steven Brown, Andy Gilbert, Pieter Inpyn, A G Jones, Ken Larwood, Bob Scott, The World Ship Society (East Kent Branch), Yevgeniy B, Frank Phillips, Kenneth Whyte, Michael Woodland and Andreas Wörteler. Special thanks go to Ted Ingham. Many thanks for a very interesting website. 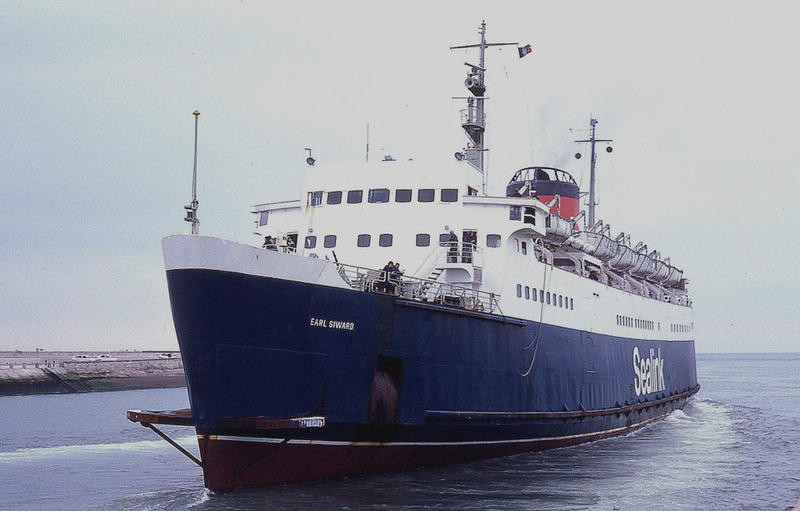 With regards to Earl Siward, and the date of her transfer to Sol Ferries, I came across the channel with her (Calais Maritime to Folkestone Harbour) on Saturday 5th January 1982 and she was still called Earl Siward according to my notebook. Impossible Mark. 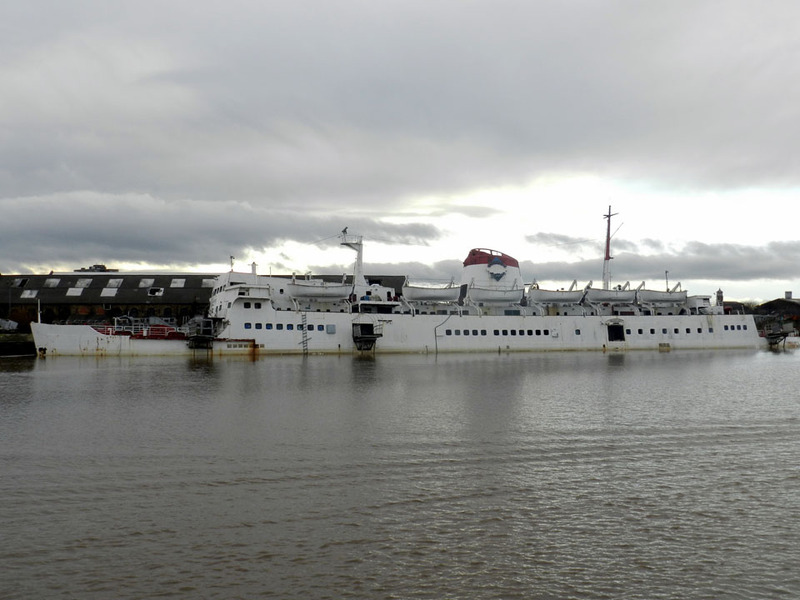 She left Newhaven for Greece on 25th November the previous year. Thanks John. I’m not a shipping enthusiast (I’m a railway enthusiast), but kept a note of which ships I’d been on. 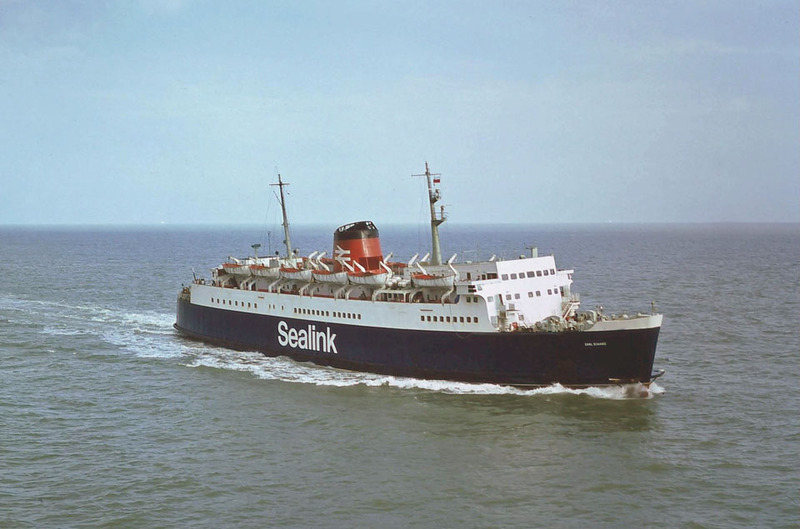 My notebook shows I went out to the continent on MV Horsa on Monday 17th December 1981 (16.10 ex-Folkestone – Calais) and back on MV Earl Siward (11.50 ex-Calais – Folkestone) on Saturday 5th January 1982. 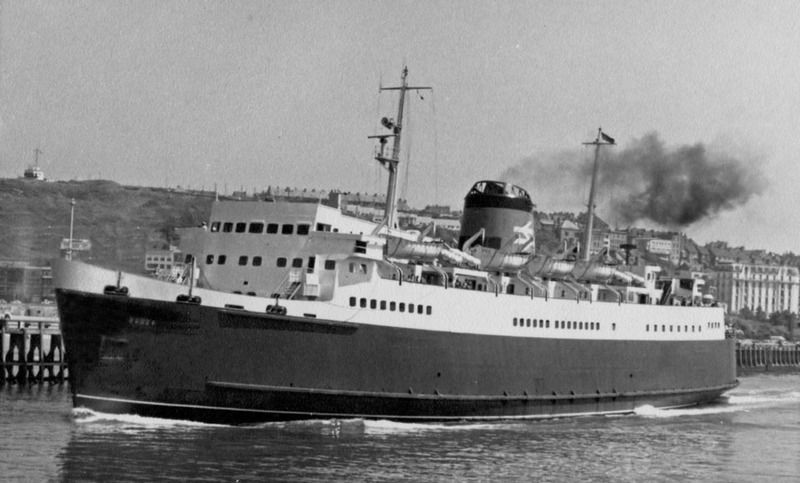 There’s an error there inasmuch as Earl Siward was a turbine ship, not a MV. 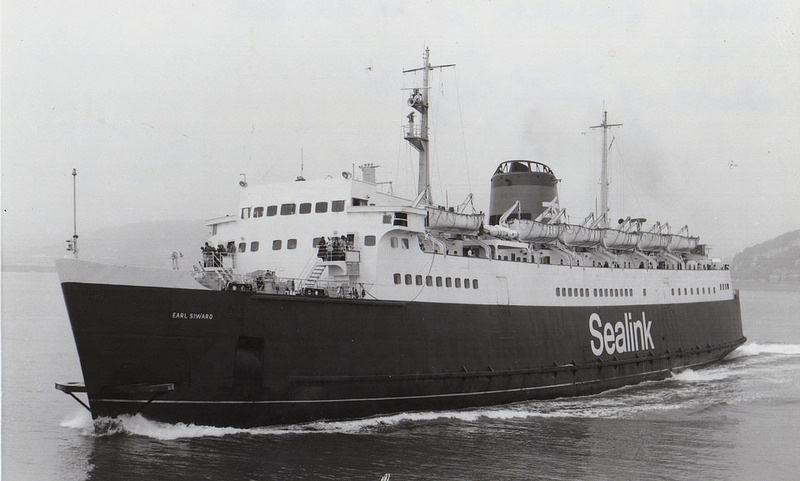 As I don’t know where I’d have got the name Earl Siward from, and appear to have made an error, can you suggest what other ships would have been on cross-channel duties in January 1982 that I got confused with? My apologies. I’ve double checked my notebooks, and I find I was two years out. 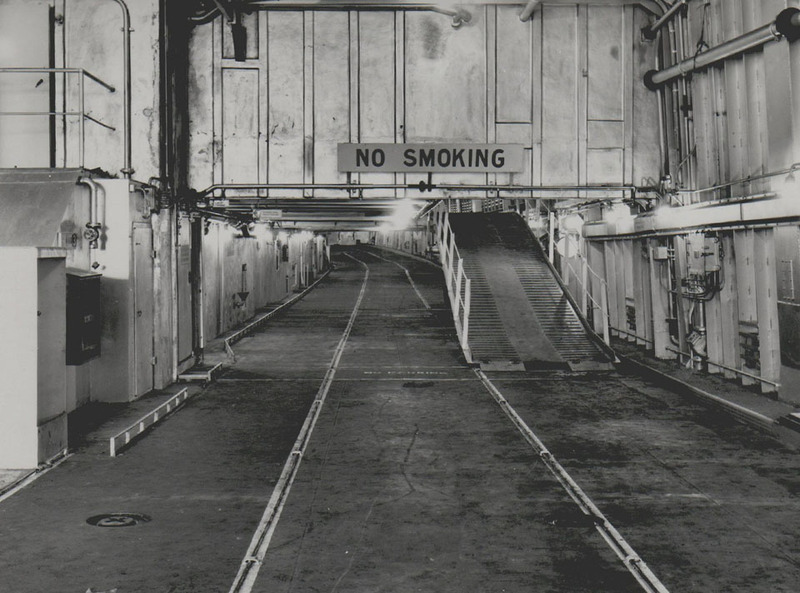 I went out on Horsa on 17th December 1979, and came back on Earl Siward on 5th January 1980. I’m now happy in my mind that I managed to catch a steamship, so thanks for challenging my dates!